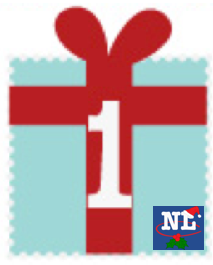 Welcome to December and to the NL Classifieds Christmas Advent Calendar for 2014! We have a great new contest for you to help ring in the Holiday Season. Prizes include St. John's IceCaps tickets, a Christmas Turkey, NLC goodies and even a limited edition IceCaps Yearbook from the 2014 Calder Cup season. Just like your childhood advent calendars, each day of December up to the big day (Christmas!) will have a different prize! Everyday we will post a special NL Classifieds Calendar date image like the one pictured below. You can enter every single day and are eligible to win each day as well, so make sure not to miss any days! The contest is open on three different social sites (Facebook, Twitter & Instagram). Enter on all three channels for the best chance to win! On Facebook (NL Classifieds) the special Calendar image must be LIKED & SHARED for an eligible entry for each day. On Twitter the special Calendar image must be RETWEETED & FOLLOW @NLClassifieds for an eligible entry for each day. On Instagram the special Calendar image must be LIKED & FOLLOW @NLClassifieds for an eligible entry for each day. Each day, the contest will open in the morning when the special Calendar image is posted. Daily winners will be drawn and posted during the evening each day. Winners are required to message NL Classifieds through one of the three social channels to arrange prize collection. Prizes are not required to be collected same day. NL Classifieds Christmas Advent Calendar Winners!